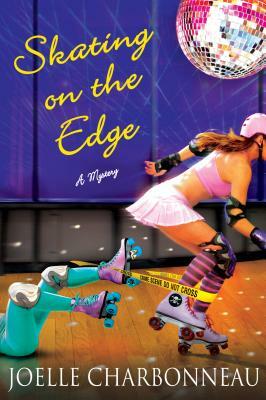 Rebecca Robbins, owner of the Toe Stop roller-skating rink, is back, this time joined by a tough and sassy roller derby team, and she has a new puzzling murder to solve. It's Native American Summer Days in Indian Falls, and Rebecca is roped into taking a turn in the Senior Center dunk tank. That is, until her rhinestone-studded grandfather, Pop, needs help setting up his Elvis act. Minutes from climbing into the tank, Rebecca has to find a replacement, and roller derby girl Sherlene-n-Mean is delighted to fit the bill---until she's dunked, electrocuted, and killed. It's obvious that this was no accident. Someone rigged the tank, but who was the intended target? Sherlene-n-Mean or Rebecca? With a list of suspects in hand and Pop cheering her on, Rebecca starts asking questions. Who disliked Sherlene-n-Mean enough to kill her? Could a father really be capable of murdering his own daughter for money? Why has the bowling alley owner suddenly decided to call a truce and offer Rebecca his assistance? Who was Sherlene-n-Mean? Did her mysterious past catch up with her and get her killed or was she a victim of circumstance? Aided by a trio of self-appointed bodyguard derby girls and caught between Deputy Sean and her sometimes-boyfriend Lionel, Rebecca digs for answers, dodges bullets, and races to find a killer before the killer strikes again. Joelle Charbonneau's third novel is a gem in a charming and hilarious series.